Do you hate having to modify and glue up your tires? What about when you have to replace the tires and have to throw out a perfectly good wheel? Well, don’t worry; we have you covered with the Axial bead-lock series of wheel that was specifically designed for Super Sized Rock Crawlers. 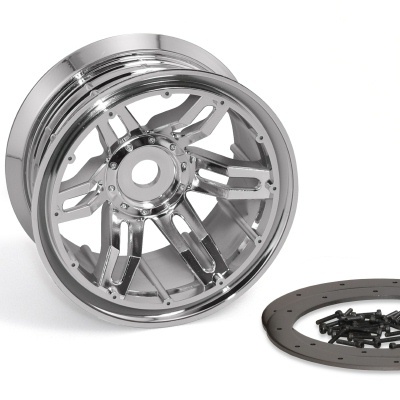 All Axial wheels are made from super strong composite material and come in several high quality finishes so you can customize the look of your truck.